Happy New Year, my friend! What a wonderful way to start the new year by counting our blessings! The year of 2018 was a year of lows and highs, like any year, I suppose. It started off pretty low as I was dealing with my health issues and trying to get help to get my surgery done. In March, God intervened, as only He can do, and I was completely blessed with an emergency surgery and have been getting better ever since. I have been thanking God and feeling so blessed ever since! One of the great things about feeling better is being able to do the things I love to do and to do things with my family I couldn't do before. Something as simple as going to a movie is such a blessing! Last week, we went see a movie that impacted me so profoundly. 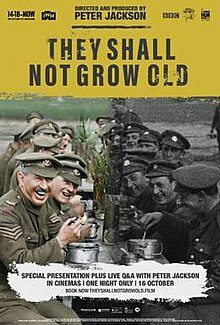 It was a documentary about World War One and was done through the Imperial War Museum and Peter Jackson of the Lord of the Rings films fame. Oh my goodness...I cried and laughed as I watched this movie. Mostly cried. The devastation and loss of WWI is just horrible. Peter Jackson did a fantastic job of using the old war film footage to tell the story of the infantry soldier. If you have a chance to see this movie, I highly recommend it! Be prepared for graphic scenes that will tear your heart out, though. I had two great uncles that were in this war and they were both hit with mustard gas. They both died young and had health problems because of it. One thing this film made me want to do is ask my Dad more questions about his uncles and the impact this war had on them and his family. This war affected so many around the world even after one hundred years. I'm also so thankful for the lovely Christmas we had. I shared a bit about it on my post the other day but wanted to share some more pictures. Here is my son with our pug, Muffy. She is 16 years old now! She is deaf and almost blind but she loves this boy. You can tell by the look on her face. I love this picture of the two of them. Of course, we can't have pictures without the poodle girls, Cookie and Mitzi. Isn't Cookie cute in her Christmas coat? I have tried over and over again to get Mitzi to wear dresses or coats. She gets really weird and acts like she's being beat. She did wear a Christmas shirt for a while on Christmas but it was such a trauma for her, I took it off her after a short time. I have never had a dog that wouldn't wear clothing and I'm not sure why she dislikes it so much. We had such a blessed Christmas and I hope you did, too! Now it's time for you to share your own blessings on the Linky below. I can't wait to see how the Lord has been blessing you! AW, I loved seeing the pictures of your husband, son, and fur babies! That is something how that sweet girl doesn't like wearing clothes. They are just so adorable! I'm SO thankful your health issues are behind you, dear friend, and just thank the Lord along with you that you are able to get back to doing the things you love for the people you love most. You are such a dear blessing to so many, including me! 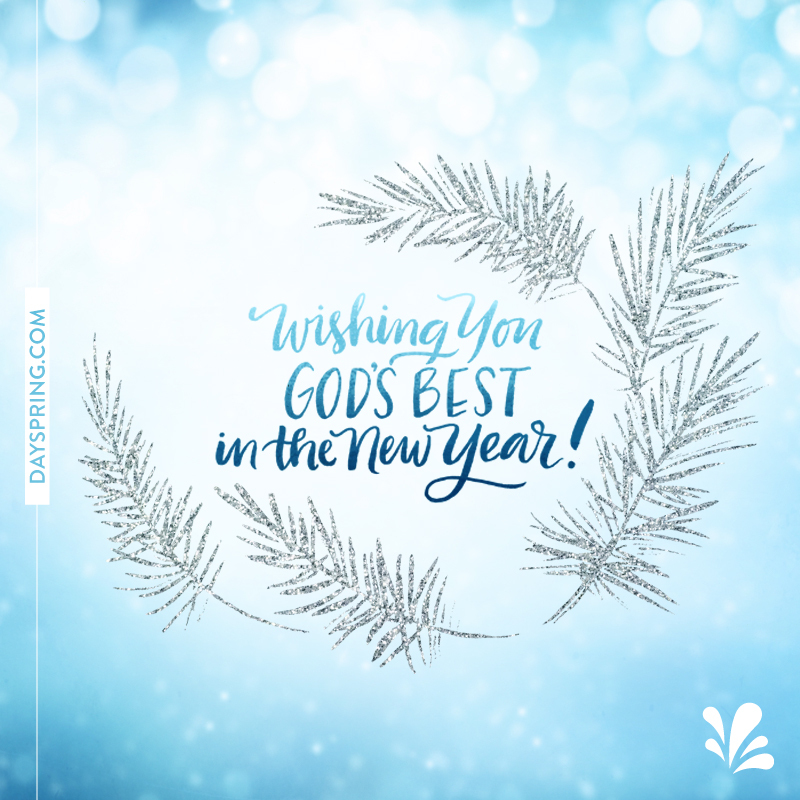 Happy New Year to you and your dear family! I love the title of your site - more of Him is what I need - and your family and dogs is adorable. I hope to see that movie, too. Thank you so much for hosting, Julie! 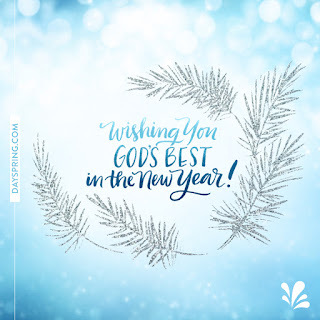 Wishing you a Happy New Year!! Thank you for the Linkup!!! Oh Muffy! How very precious! Happy New Year to you all! Greetings and Happy New Year. I'm new to your beautiful blog and found you through Heartsie Girl. Nice to meet you, and I hope you'll stop in at Gail-Friends soon.